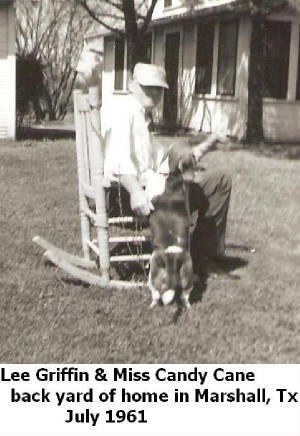 My Daddy, was born December 5, 1919, at Red Level Community To Maude Vitoria Lyle (Sparks) Griffin and Edward O. Griffin. He died 09-26-1991, in the Tyler Hospital after a lengthy illness. 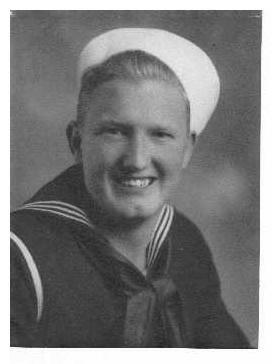 Lee was a 1937 graduate of Overton High School and serving in the US Navy in World War II. 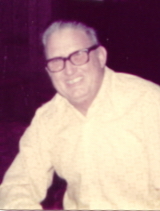 Dad worked for Pope & Turner in Overton and served as post commander of the VFW in our home town Overton, Texas. Lee Griffin was my daddy. 1961 Lee & Miss Candy Cane In Marshall, Tx. He loved his little red toy. In 1982 Lee retired from Western Auto in Garland, Texas and moved back to East Texas. There He did what he loved. 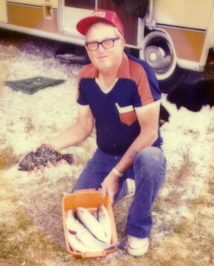 Fishing at the cost, His new little toy (1986), Had a garden (which he gave most of it away) and served at the VFW. He loved cooking at the VFW fish frys. 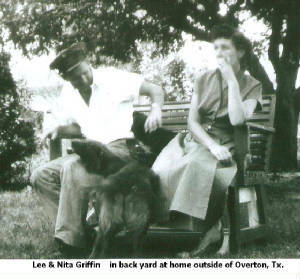 Lee was born December 5, 1919, at Red Level Community To Maude Vitoria Lyle (Sparks) Griffin and Edward O. Griffin. He died 09-26-1991, in the Tyler Hospital after a lengthy illness. 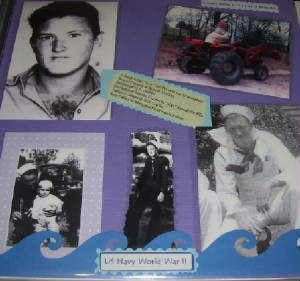 Lee was a 1937 graduate of Overton High School and serving in the US Navy in World War II. He Served in the South Pacific. He has served as Post commander of Hall Bros. VFW Post 9185 in Overton. 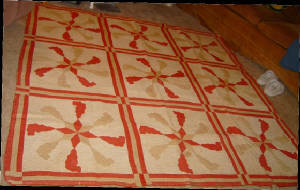 He worked for the Western Union in Overton before the War. Then after coming home from the War Lee Worked for Pope & Turner in Overton; Thiokol Chemical at longhorn Ammunition before moving to Tyler where he worked for Tyler Pipe and Foundry Company Also a teacher for TJC night program. Where Lee recevied a number of Certificates one of with was in Electrical Blueprint reading. Moved to Dallas in 1966 Where he worked and retired from Western Auto as an appliance repairman. 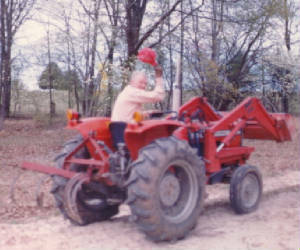 After retiring in 1982 Lee and Nita moved back to East Texas where he helped and worked with Harold Jacobs of Harold's Appliances in Arp, Texas. 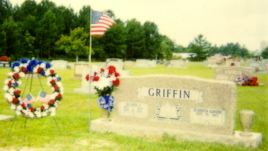 He was survived one brother, Oscar S. (Bill) Griffin of Cherokee Village, AK. along with his wife, Juanita E. Goode (Nita).A step daughter Margaret E.Pontremoli LaRoe , One Daughter Diana Lee Griffin, One son William Robert (Bill) Griffin. 6 grandchildren.